Me and my sweet ride, c. 1976. 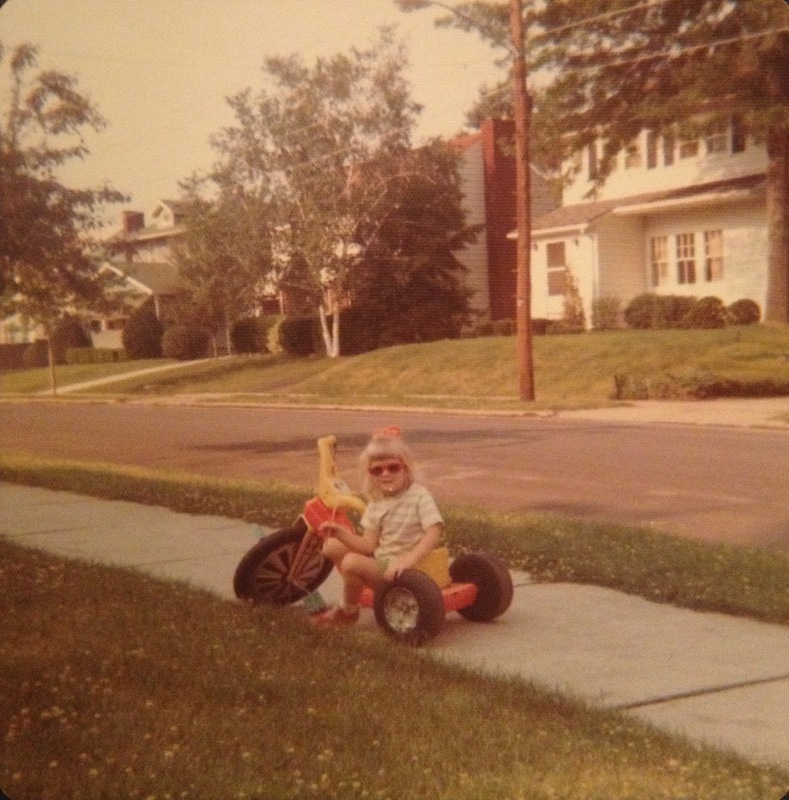 This is one of my favorite pictures from childhood – new Big Wheel, heart-shaped sunglasses, and a big ol’ smile. I don’t know where I was heading (presumably not far) but when it’s a sunny day and you’re five years old, I suspect the destination didn’t matter a bit. Big Wheel!!! I had the same exact one. Loved doing burn outs on that thing in my driveway, haha. Love the sunglasses. Too cute.